How do you generate Quality Email Leads from your Blog? Sameer Panjwani is the CEO & Founder of Mondovo.com, an online marketing toolset that helps you track your rankings, monitor your site stats and research your competitors'. A man of many talents, Sameer occasionally writes about social media marketing, content marketing and SEO. In his free time, he loves reading about the latest trends in SEO as well as spending time with his two little daughters. We all write content on a regular basis, or hopefully we do, and we don’t necessarily get a direct ROI from all that content we publish on our blogs. Is there a smart and easy way to actually get leads from the content we develop? Sameer Panjwani covers some quick and practical tips that you can apply when writing your next few pieces of content. Do watch, learn and apply! Make your Blog work for you. Don’t waste any opportunity to convert your visitors into email leads. If you have any follow up questions, do post them in the comments section below. We all know that the keywords and phrases you use in a document can play a part in your Google Rankings. However, can having similar articles on the same topic add more value to your rankings? Sameer Panjwani discusses this possible theory in this short video. It might sometimes make more sense from an SEO perspective to develop similar themed content, establish an authority around a topic, than to focus on multiple differently themed topics. What is the best way to format your URLs when creating new pages on your site? Is there a best practice? Yes there are definitely a few things you should keep in mind for the ideal URL structure. Sameer Panjwani covers all the pointers you should consider when structuring your URLs. There are so dos’ and donts’, if you follow them, your site will be better prepared for SEO. Accomplished sales expert and a creative digital marketing strategist with a proven record of success in design and product development/lifecycle, from conception to end-user. Another rapid-fire episode where Bala Ayya shoots questions at Sameer Panjwani. This time the topics covered relate to blogging, content and making money from blogging. Google has launched a Google Guarantee program targeted towards local businesses in the Home Services segment. This affects local businesses that offer services where they need to enter the customer’s home to render the service offering. Examples of such businesses being, plumbers, locksmiths, handymen, etc. While this program is currently in beta and applicable only to a few cities, It’s important to be aware about how this program works since it’s something that could roll out to more verticals and locations in the future. The impact it would have on local businesses would be phenomenal. The criteria seems to be quite strict to get accepted but once you’re in, you’re bound to get a lot more leads than anyone else who’d just be doing the regular Google Ads. This Google Guarantee program for Home Service Businesses is still being tested out at this stage and from the signs of it so far, it seems like they’re currently looking to expand to other locations.So do keep a watch out, especially if you run a local business or manage such clients in any of the selected cities. If you liked the video, do consider subscribing to our channel. Rapid Fire #3: Inbound vs Outbound; Quick Conversion Tips; How to get Leads? Bala Ayya fires away some quick questions at Sameer Panjwani on business, conversion tips and marketing. Bala Ayya fires away questions at Sameer Panjwani on SEO and covers interesting topics on various aspects of SEO. 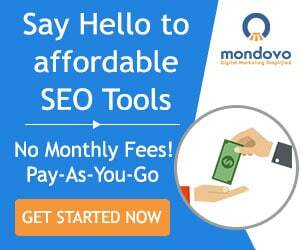 Bala Ayya fires away some quick questions at Sameer Panjwani, founder of Mondovo.com, on SEO. Is Email Marketing becoming less effective? In this podcast, Sameer, Bala, and Giri discuss the best email marketing methods to reach out to your audience. Is the medium of email dead or dying? Is there anything business owners can do to maximize engagement and ROI from the emails they send out? What are the best practices that we’ve tried and that you can easily copy? There will be times when you want to migrate your website, i.e. change the design of your site or change the CMS powering your website. When you do such a thing, it’s critical that you keep certain points in mind so as not to affect the SEO for your site. Sameer Panjwani talks about the few things that you could do when going about a website migration. A website migration usually invovles restructuring your URLs and it matters most how you handle the file name changes. There is a way to handle a website / design migration without too much of an affect in your search rankings. Watch the video to learn more.